I LOVE, LOVE, LOVE, LOVE Eleanor! She is quirky, she is unique, she is very logical, she is well-spoken, she is intellectually intelligent, she is hilariously funny but…she is not completely fine. Far from it. I couldn’t wait to find out how she pulls through. 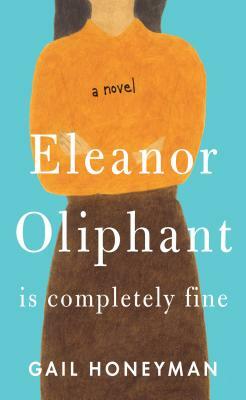 Eleanor Oliphant is not completely fine, but she keeps telling herself that she is. Although intelligent and proper, Eleanor speaks her mind, and often voices shared opinions that I'm afraid to voice myself. After living a life in solitude for years, Eleanor learns what happens when you let people in. Of course, there are roadblocks along the way, such as learning modern technology, getting a makeover, as well as unearthing suppressed memories from trauma. This novel also advocates for mental health counseling.